Whoa! So sorry I’ve been MIA for a week from the blog, it’s been a crazy start of the year – but crazy good! I’ve missed you all and so glad to be back up and running with streams of ideas flowing through my head. Every start of the year, I like to compile a list of DIY projects I hope to tackle and pick up a few more crafting skills along the way. More importantly, I want to be able to share my DIY journey with you and in 2016, I’d love to focus on a few more complex projects. As much as I enjoy a simple yet genius DIY (who doesn’t), I’ve been thirsting to develop some legit crafting expertise. 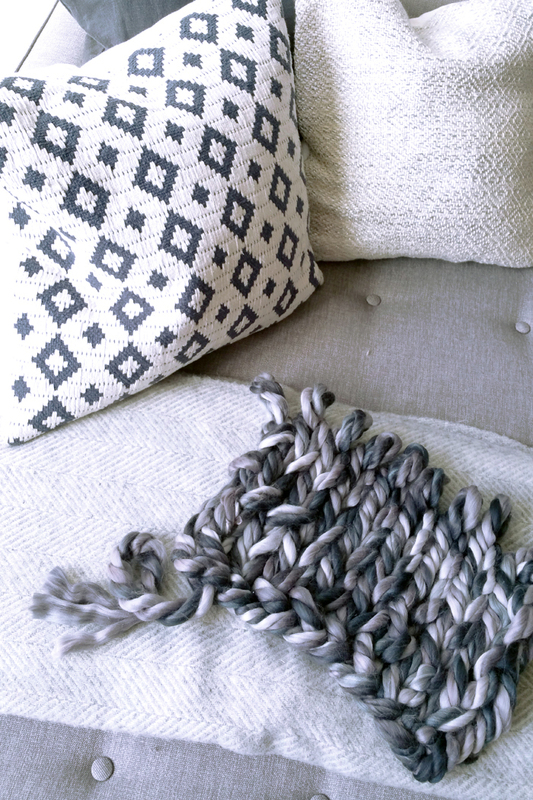 So today, I’m sharing 5 DIY Crafts to Try in 2016. A couple of these I’ve started to embark on and the others I have slated in for later months. What DIY/crafting projects would you like to see me share this year?! My cousin’s 12 year old daughter gifted a handmade finger knitting scarf to me for Christmas this year. I was so intrigued by her ‘finger knitting’ skills that I absolutely had to investigate further. After doing some research online, I was inspired and convinced that arm knitting would be my first ‘craft’ of 2016. I prefer arm knitting over finger knitting because it generates a ‘chunky’ knit pattern. After one stop to Michael’s and watching this arm knitting blanket YouTube video by Simply Maggie several times, I was all set for my scarf! The photo below is a glimpse of what I started over the holidays, I ended up tearing it apart after three rolls of yarn as I realized that it was too wide for a scarf and not wide enough as a blanket. Therefore, I cut the width in half and only used about 5 loops instead of 9. I recommend finding the bulkiest and chunckiest yarn you possibly can, I used Huge Yarn by Loops & Threads. If you find the time to scout out sales at Michael’s you can get a very good deal, I picked mine up for $6.99 a roll, and you’ll need about 3-4 rolls for a long scarf or 2 rolls for an infinity loop scarf. 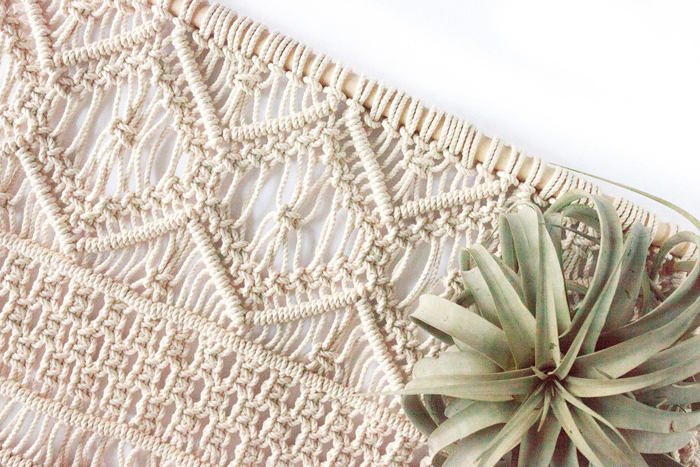 I love the idea of this large macrame wall art display handcrafted by Natalie Ranae. It is absolutely stunning and come on… look at the amount of intricacy! I’ve only had my hand at macrame with friendship bracelets and even that required a whole lot of patience. I have such an appreciation for artisans and their work as I know how much time, effort and creativity it requires to make magic. This large macrame wall art would be so perfect hung in the bedroom, until I’m brave enough to give this a go, I’ll have to admire from afar. For those of you who follow Laura Hooper of LHCalligraphy on Instagram, you know just how mesmerizing her mini calligraphy videos are. I swear I can watch them over and over again. 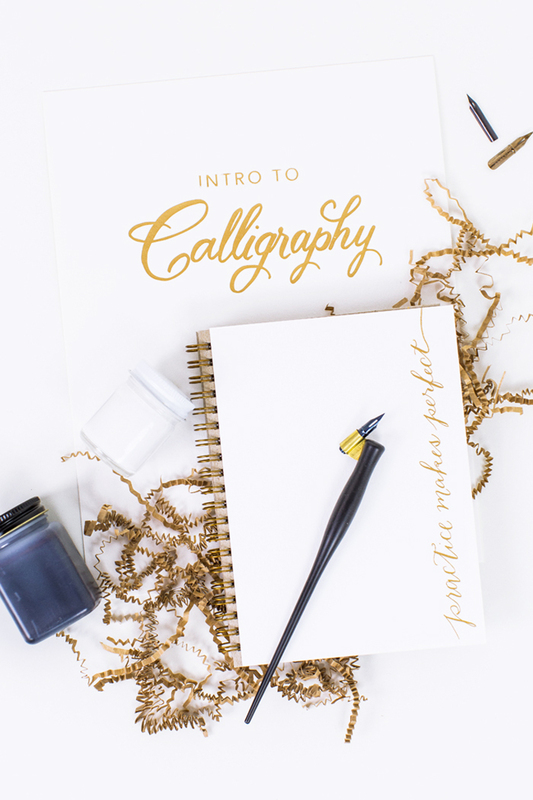 Laura hosts calligraphy workshops across the US and Canada and I’m thrilled that there are still a few spots left for her Toronto workshop in April! I’ve always wanted to pick up calligraphy, and I think 2016 is just the time for it! 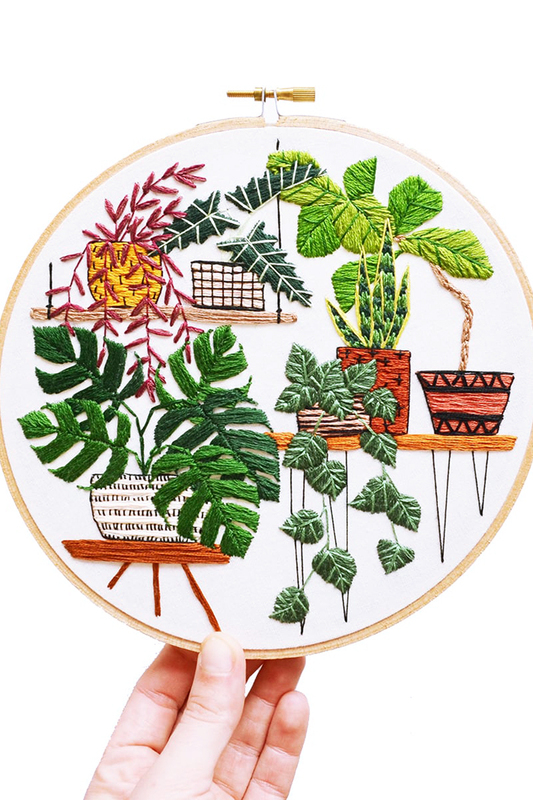 Have you seen these embroidery hoop art masterpieces by Sarah K. Benning yet?! I stumbled upon Sarah’s work via Instagram and they are incredible!!! Her works of art are generally inspired by plants, garden, and nature. After reading a little bit more about Sarah, she approaches these pieces as illustrations, creating drawings in pencil directly onto the fabric before filling the image in with thread. Some time ago, I acquired this DIY Embroidery Kit from Chapters Indigo and I may just use this as a test to create my first embroidery hoop art. Late last year, I was invited by Manitobah to join an intimate group of aboriginal women to learn how to make a pair of moccasins by hand. It was an incredible experience (which I promise to share more of soon). During this 4 week workshop, I also had the opportunity to learn how to bead. Most of the women I sat with had beaded before, it is an art that is typically passed down from generation to generation. I was so privileged to have accompanied such an amazing group of women and hear about their stories and craft with them. This photo below shows one of the flowers I hand beaded for the top of my right moccasin. The flower was drawn onto paper, then the paper was affixed to the felt (or leather) which acted as the top part of my moccasin. The rows of beads were then tacked on a few at a time using two needles. This little flower took me 4 hours to complete, whoa! 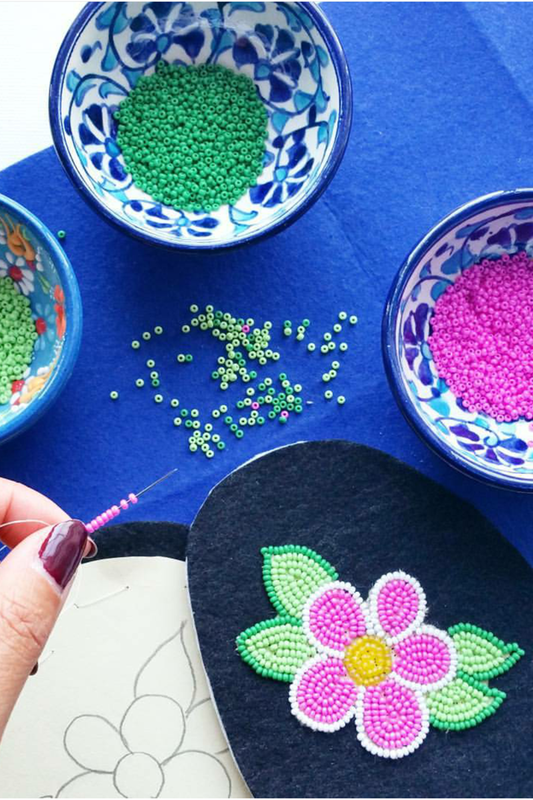 If you have the chance to learn how to bead, I guarantee it will test your patience, creativity, and eyesight! What new crafting skills or DIY projects are you hoping to try in 2016? I’d love to hear from you! Thanks for stopping by! I used to do needlepoint with my mom when I was a kid, but that embroidery is a whole new world! Actually it’s funny, I used to knit, bead, and I learned calligraphy all back in the day. But that was when it was totally geeky. Love that it’s now IN!! Will have to take it back up again!